Friend of the show and fellow radio host Pearse Redmond joins Chuck to deal with the news of the day and the seemingly unreported inflation that we the rest of the people not blessed by the elite to be useful idiots like Trump are currently living through. Porkins and Chuck both start to toy with the EMF connection to the alleged Mandela Effect as they find that reality may have shifted far beyond some bears in a children’s book … What of the rise of the Police State in the face of the artificial Social landscape that replaces real conflict with fabrications via Twitter and the emerging news feed that is a frenzy burger in plastic joined with anxiety fries. 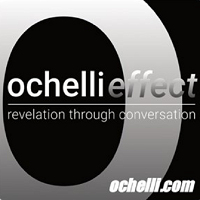 alternate reality show transcript … PLUS a few new thoughts on the LIVE Shooter Drill and events connected to the most recent ugly in Florida. The Troll Farm brought to you by your friendly State Department and much more. Mike Swanson will return next week and fill in the blanks about Wall Street and other financial items.